While surfing the web I came across a website called Super Bumper. I have no idea how I found it but that's the story of the web. 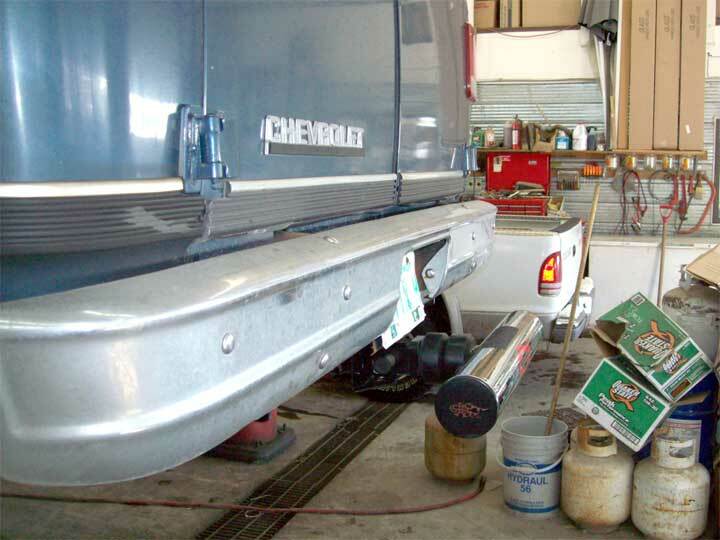 A Super Bumper is a unit that slides into the 2" receiver on a Class III receiver hitch, is 24" wide and takes the impact if you're rear ended of a "victim of someone parking by braille". It is protection from those who think their all season tires and ABS will actually stop their cars when they jump on their brakes in the winter.The channel on the shank has a slot machined into it for the unit to slide on via the retaining pin and inside the shank is a series of rubber blocks. The outside of the shank has rubber doughnuts - if you're hit, these rubber blocks / doughnuts take the force. According to their website, a one ton truck with this installed can absorb an impact of 4.4 MPH and not damage your vehicle. Passenger cars are subject to federal regulations to provide energy absorbing bumpers. 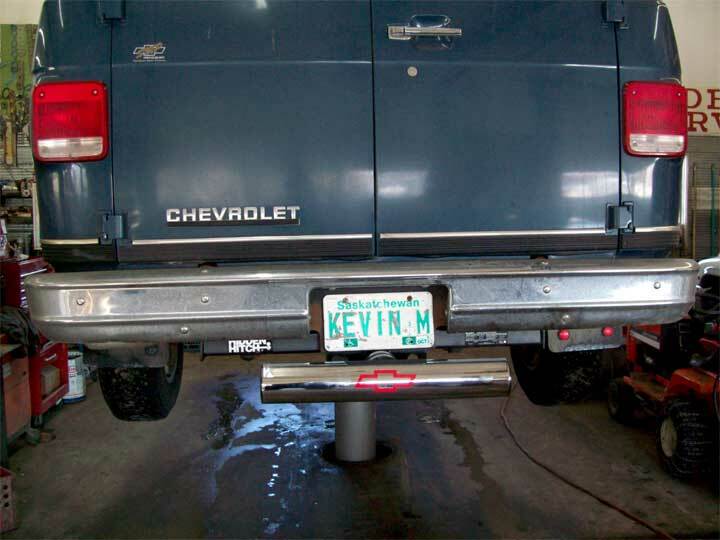 Trucks, vans and SUV's do not have this coverage: their bumpers are decorative end caps to conceal the frame rails. Nothing else. If you get tagged at a stop light, your vehicle transfers the full impact to your neck. It is to be hoped that one of these would lessen that impact. Mine was installed February 17th and these photos were taken as the vehicle was still on the hoist. The unit itself simply slides into the receiver hitch and locks in with the standard <locking> pin. I had to have a receiver hitch installed. On a truck, especially a 4X4, the unit would sit higher but eyeballing it in a parking lot, it comes right in line with a passenger car / minivan front bumper. 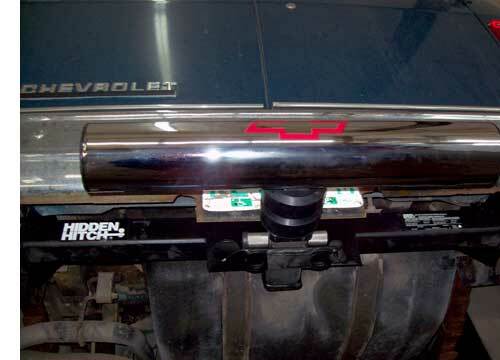 The Super Bumper comes with a 2" ball mounted to it, the Spare Bumper does not. Mine is the Spare Bumper. It does have on top, a section of grit tape to act as a step for the wife to get up into the back doors, which in itself is of great benefit. I can also see it working as a Knee Capper for someone poking around your back doors uninvited in the dark.